Rally the Readers: Happy New Year! Happy New Year, everyone! 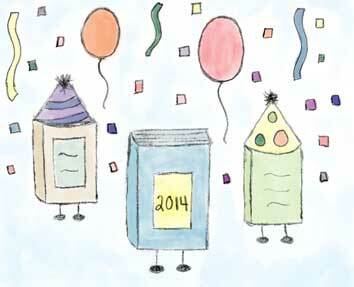 We hope that you all have a fantastic 2014 filled with lots of amazing reads! Thanks, Ali! Hope you have a great 2014! Happy New Year and the same to you! Thanks! All the best to you in 2014! Lee - my DVR's set for Downton! Woot! You and I will be doing lots of book & tv chat this year. Thanks for keeping me company, so happy I found a fellow "nerd" like myself whose interests are just as eccentric. Aww, same here, and I'm looking forward to all of the Twitter chats! And let's not forget- Game of Thrones will be back soon, too!